South Africa is a thriving and lively destination to work in. It is a unique environment in which to spend time volunteering abroad as a group. Projects Abroad is based close to the southern tip of the African continent, in the bustling cosmopolitan city of Cape Town. 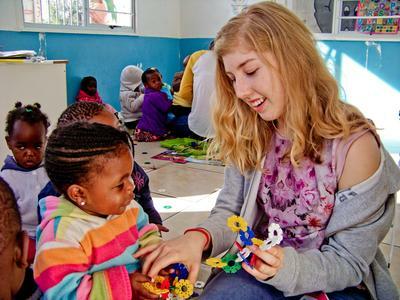 Projects are available for anyone interested in volunteering in the developing world; whether you are a school group, university group or corporate group. The infamous townships are a stark contrast to the city centre, full of people desperate to create a better world for their children. These poorer areas are full of basic social problems such as alcoholism and domestic violence, with high rates of unemployment at almost 40%. Parents try to keep their children busy through crèches, schools and after school activities, though this is not always easy with limited or no funds. 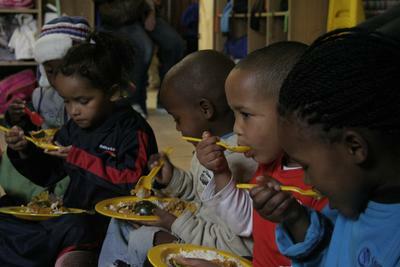 Local staff are stretched and usually don't have the time to give the children much one-on-one attention. Your group could be the ones to make the difference by inspiring the children and maybe even the carers too. Your group will provide much needed hands-on support to these crèches, care centres and after school clubs, enabling them to keep their costs low while still providing a safe and stimulating environment to nurture and inspire the children. 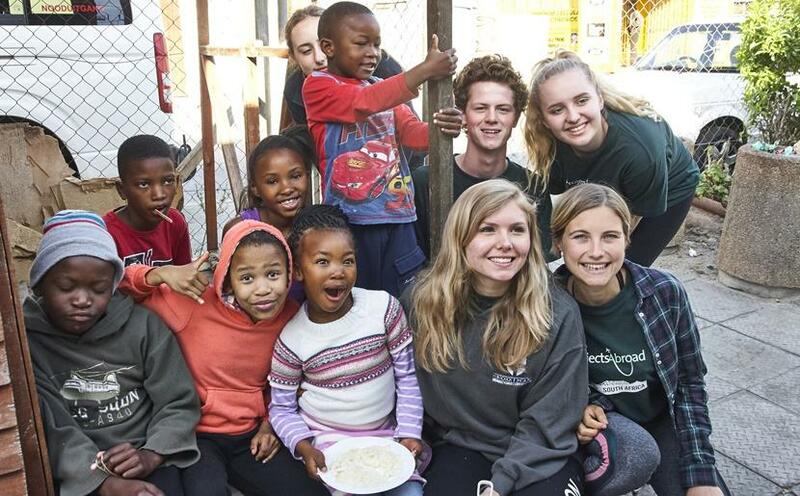 Projects Abroad is linked with a number of crèches and care centres in the townships and poorer suburbs of Cape Town to provide much needed care for disadvantaged children in the area. We also have a project working in a centre for children with special needs, for groups with experience in this area. Groups working in the care centres and crèches help the children get ready for their day and also learn basic but valuable life skills. Structured work is vital to help prepare the children for school and create a calm and constructive environment. Your group will work with a placement supervisor in creating a work plan that you and the children will follow. The local staff will make suggestions, based on what the kids have or haven’t been working on, but all of our placements are open to your suggestions! Sports, art, music and drama are always popular activities to include in your plans on these placements. Start a choir, put on a play or organise a sports day for the kids! All of our Care projects in South Africa are keen to have groups with lots of energy and fresh ideas to help the permanent staff. We try to take advantage of all of our groups talents and skills that can contribute to the care and rehabilitation of the children, so let us know how you can help.